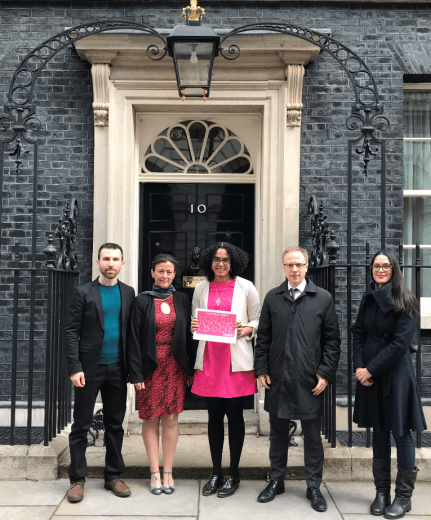 Ana Gonzalez, a partner in our immigration department, was at No 10 Downing Street this morning to deliver a petition to the Prime Minister. Wilson Solicitors have been working alongside Islington Council and Islington In Europe to provide free information and advice to EU nationals living in Islington. We have delivered three information sessions at Islington Town Hall in conjunction with our friends at Wesley Gryk Solicitors.